So, today, I want to share exactly how I cook in a dorm! I had the idea for this post while I was meal prepping on Saturday morning, so I grabbed my camera to document my college meal prep process. The truth is, I really don’t cook that often. I use a loose system of meal prepping (more on that in a sec) to keep my mini fridge stocked with healthy meals and snacks without having to cook every day. 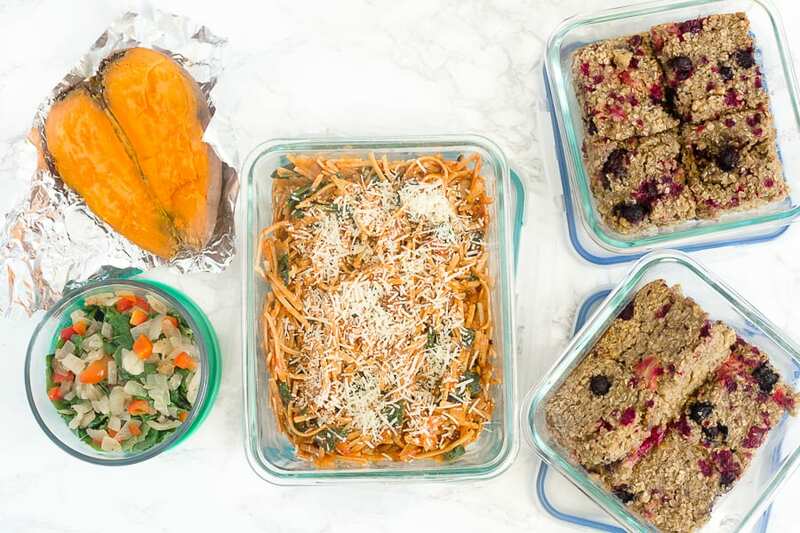 I’ve seen meal prep ideas on Pinterest that involve filling five matching Tupperware containers with five identical lunches (or even lunches AND dinners). While I see how that could work really well for some people, I think I’m too “free-spirited” with my eating to eat the same lunch or dinner for 5 days in a row. I enjoy flexibility, and I’d get bored knowing I HAVE to eat that particular dish for lunch or dinner every day, regardless of my mood or hunger levels. Each week, I cook one main dish (or occasionally two main dishes) and one snack recipe, and then I store each one in a big glass Tupperware container in my fridge for whenever I need food and am in the mood for that food. Then, based on my hunger levels and what’s going on that day, I can choose what I want to eat and how much I want to eat. The main dishes I prep are typically the lunch/dinner recipes you see on my blog! And these are the meals I often invite friends over to share. For recipes that freeze well (basically any pasta or soup/chili), I’ll often make 6-8 servings and freeze a couple of individually-wrapped servings right away because I already know I won’t want to eat that much of one dish in one week. Then, I’ll eat the main dish either for lunch or dinner most days till it’s gone. This week, I cooked a box of red lentil linguine (super high in protein! ), tossed it with half a jar of Whole Foods organic marinara, added sautéed onions & baby kale, and topped it with Parmesan cheese. 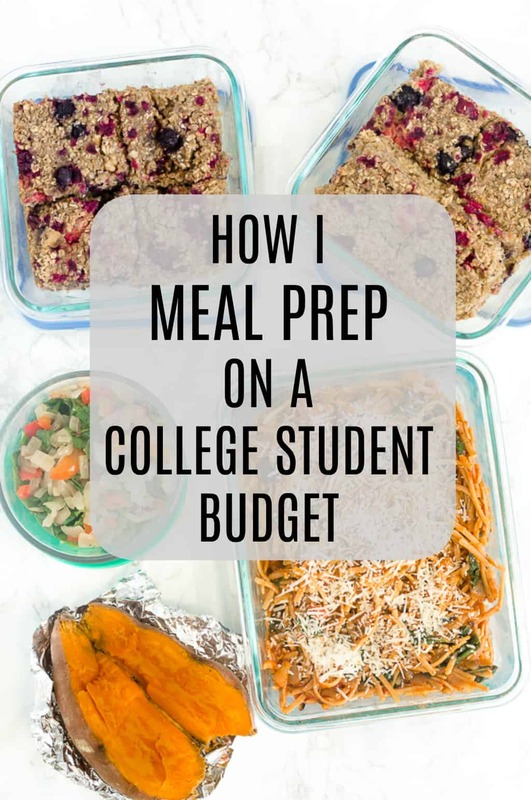 Just for fun, I did the math to see how my college meal prep works on a budget (even with buying lots of organic items!) and here’s what I found for four servings. One 8 oz. box lentil pasta ($3.37) + 1/2 jar Whole Foods organic marinara ($1.50) + one package organic baby kale ($2.50) + 1 onion ($.79) + shredded parmesan (grabbed from the salad bar so it was about $.10)= $8.16, just $2.04 per serving! I eat eggs almost every day, so that takes care of another meal. For the one remaining daily meal, I have smoothies, oatmeal, salads, sweet potato bowls, leftovers from my freezer from previous weeks, the occasional store-bought frozen meal, and meals out to eat with friends (once or maybe twice a week). Each week, I also like to bake one batch of some type of snack food. I’ll typically make either energy bites (these coconut brownie bites and these PB chocolate chip energy bites are my favorites) or baked oatmeal. I tend to eat these snacks before runs, in between meals, and also sometimes for dessert. This week, I made my favorite banana blueberry baked oatmeal with Costco’s frozen organic “antioxidant” berry blend (cranberries, blueberries, raspberries, blackberries, and strawberries). 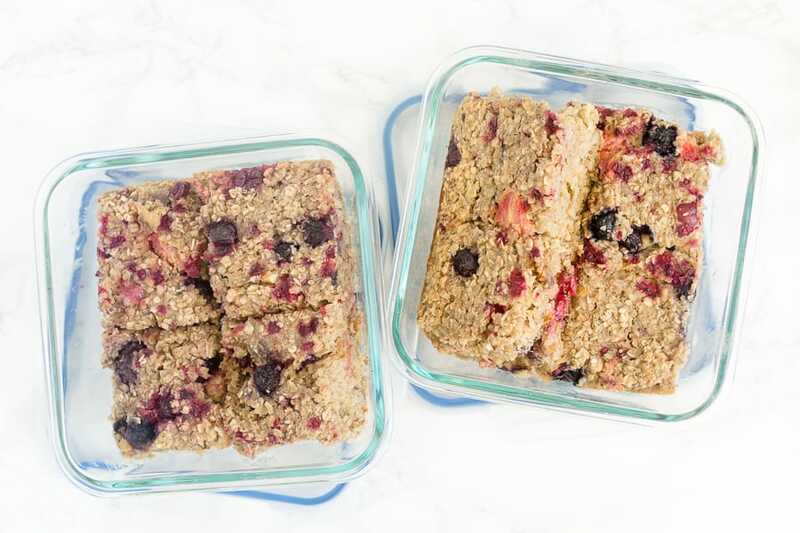 I did the math on this baked oatmeal, too, and it came out to just $0.79 for a BIG serving (1/6 of the pan) Baking one different snack or treat each week helps keep things interesting and always gives me a fun new food to look forward to. I also always keep fresh fruit, Greek yogurt, Larabars, Greek yogurt “ice cream” bars, and dried figs on hand for snacks and desserts, as well. I like having a well-stocked fridge of my usual favorites, both for myself and to offer to friends when they come over. When I cook my main dish for the week, I sauté some extra veggies for my omelets and veggie scrambles throughout the week. I often do this in the same pan as my main dish, right along with those veggie to save time. While I’m already using the oven, I’ll often toss a sweet potato or two onto the bottom rack, too. I’m not a big fan of microwaved sweet potatoes and generally don’t have time on any given day to wait for a sweet potato to cook for an hour or more in the oven, so I like to cook them in advance. 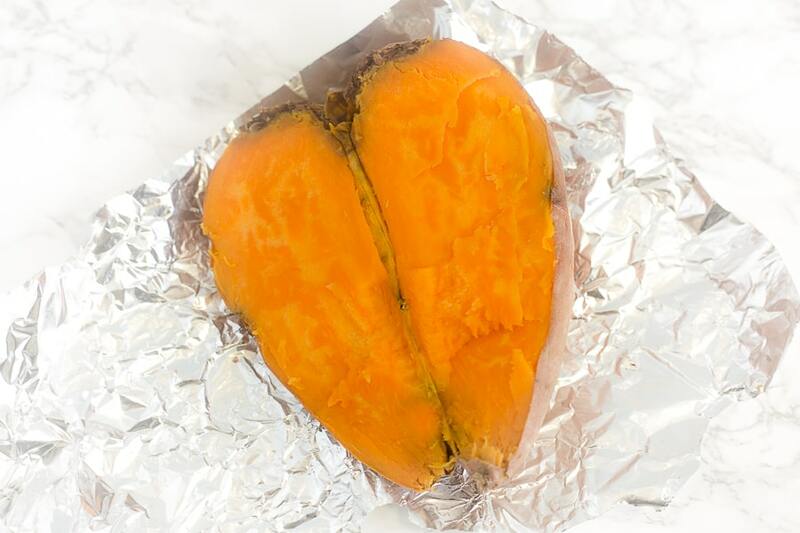 Then, I’ll keep the sweet potatoes in the fridge, still in their skin, for sweet potato breakfast bowls. They taste freshest in the first 2-3 days, so I don’t prep them for the entire week. This is just a personal preference, but if something takes less than 60 seconds to make, I probably don’t prep it in advance. For example, I don’t portion out servings of Greek yogurt or slice my apples in advance because I like having some flexibility with what I eat, and some things taste better when they’re not prepped in advance, anyway. I really enjoy cooking, but dorm cooking tends to be hectic. It also usually takes extra time since I’m making trips back and forth to my room to grab supplies, and other people are trying to cook at the same time in a small shared space. So, meal prep works really well for me because I can get all of my cooking done for the week during a short time block or two. I generally try to cook early in the morning (10 am on a Saturday counts as early on a college campus! ), so one else is in the kitchen yet. My personal goal l isn’t to have every single meal of the week ready to go by Sunday. I just like to have some delicious, home-cooked options for days I’m working or nights when I get home late. Here’s everything I prepped for this week! Do you prep any of your food in advance? Do you do any college meal prep (if you’re a student now) or did you when you were in college? Nice post and glad your eating well in college. This is great for any busy person. I work two jobs and always have a hard time eating right. Great tips. Glad you found this post helpful, Jere! 🙂 Best of luck to you on your healthy eating journey! I am so with you on the meal prep front! I can’t bear the thought of eating a piece of salmon or chicken that I made 4 days ago and have eaten every day since – that would drive me insane! 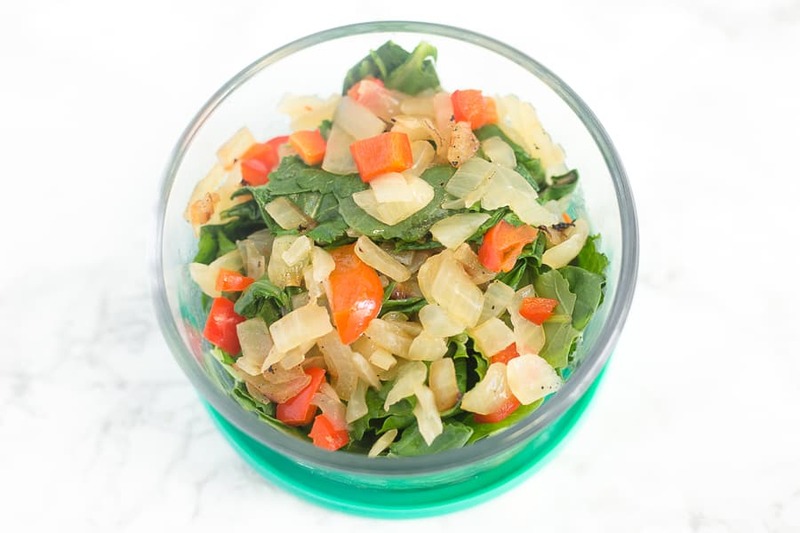 I like to prep tubs of veggies that I can pull out and have as a salad, stir fry, stew whatever, and then just sitch up the protein at each meal as to whatever I fancy or needs using up. Simple! Love the way you veggie prep, Jane! I’m fully with you as far as meat goes! I love your tips! Meal planning is so important not only when you’re a student, but even for me – working from home and have too many temptations around. Saving your tips and definitely going to use them! Thanks, Natalie! So glad you found these tips helpful! Meal prepping was a life saver for me when I was in university. Not only did it save me a lot of time but loads of money too. Lots of great tips here. I agree! It seems like it’s at least $8 or so every time I go out to eat for just a casual meal, so it’s major savings to do most of my own cooking (even inviting people over!) and save eating out for every once in a while. I love that you make casseroles but you don’t make meal prep too complicated. 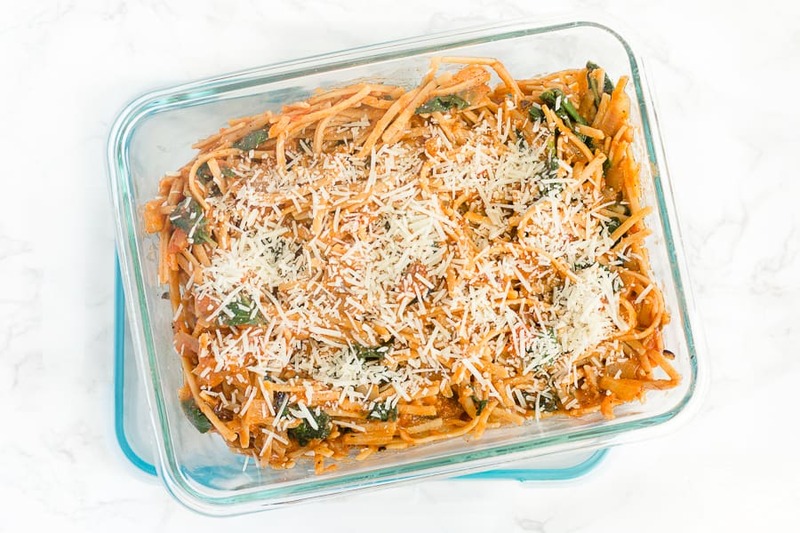 Pasta casseroles are one of my favorite things to eat. Girl, you are the meal prep queen! I don’t do too much meal prep as I’m lucky enough to work from home and usually have time to make all of our meals – but I do always make double batches of soups and big batches of cooked grains to freeze for quick and easy options! Yes! It’s so nice to be able to pull a batch of homemade soup out of the freezer whenever you need it! GO HEELS!!! What a week to be a Carolina girl ; ) (class of ’94, myself!) Stumbled onto your site via Pinterest…curious which store you buy the lentil pasta? I’m intrigued! Props to you for all of this…I lived in Alderman ‘back in the day’ and was doing good just to get my laundry done, let alone meal prep! Go Heels!!! So true, it’s a really fun week to be a UNC student/grad!! So glad you stumbled across my site, Kathleen. I bought this brand of lentil pasta at Whole Foods, although I later found it for the same price at Kroger! I just graduated from college but I still carry my unhealthy eating habits! Ugh, it’s so hard to detach myself from instant meals. It’s a good thing I come across this post. It inspires me to prep meals that is not too costly! Thanks for sharing these information to us. Keep it up. Cheers! I’m so glad you found this post helpful, Diego!